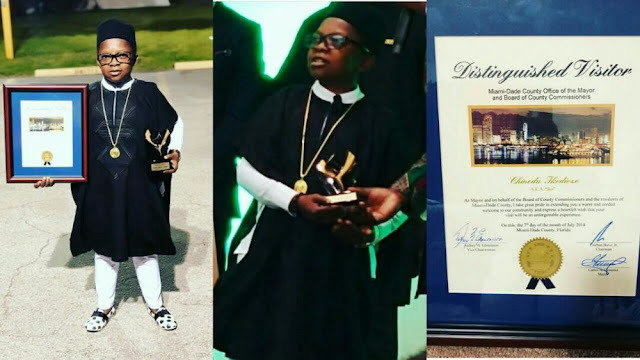 Nollywood actor, Chinedu Ikedieze a.k.a Aki, has added another feather to his cap with the honorarium as a distinguished visitor to the city of Miami, Florida. Actor Chinedu Ikedieze a.k.a Aki with photos of his plaque and key. The actor shared the news on his instagram page @Chineduikedieze with some pictures from the ceremony which took place in Miami, Florida. Ikedieze was full of thanks to the Mayor of Miami for according to him the renowned title. “From the bottom of my heart I say thank you to Miami-Dade ,country office of the Mayor and the county commissioners for honouring me as a distinguished visitor to the city of Miami, Florida’’. ‘’You have just given me a key to more success in life’’, he said. 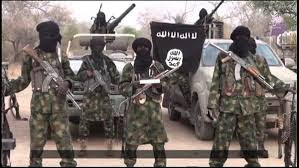 The 39 year-old Abia State born actor joined the movie industry in 2000 and rose to fame after starring in the blockbuster movie ‘’Aki na Ukwa’’. Ikedieze is best known for playing alongside Osita Iheme popularly known as’’Pawpaw’’ and has acted in over 100 movies. He also plays the role of Efetobore Johnson in the current Television Drama Series- The Johnsons. In 2007, he received the lifetime achievement award at The African Movie Academy Awards. Similarly, in 2011 he received a National Award of Member of the Order (MON) .